For over 30 years, The McKnight Foundation's Collaborative Crop Research Program (CCRP) has explored solutions for sustainable local food systems through agricultural research. The program grew out of the Foundation's Plant Biology Program, which was founded in 1983, and reflects the Foundation's long-time commitment to place-based grantmaking and learning from those working on the ground. In 2014, the Foundation engaged The Philanthropic Initiative (TPI) to develop a historic overview of the CCRP to capture its origins and evolution over the last 30 years. To develop this narrative, TPI interviewed past and current Board members, staff, consultants and grantees who had been involved at various stages in the lifespan of the program, and reviewed existing documents, reports and meeting notes. 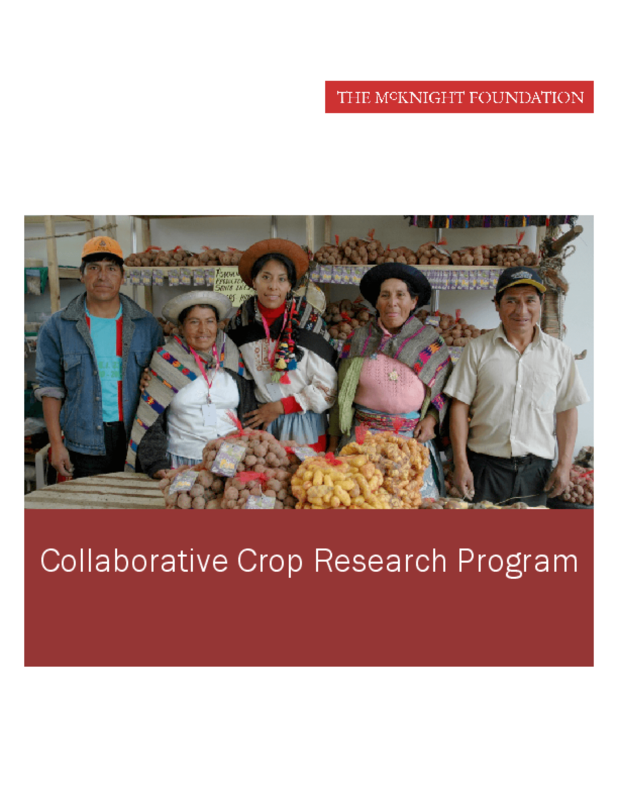 The report that follows is to serve as part of the "institutional memory" of The McKnight Foundation's Collaborative Crop Research Program. Its heavy reliance on individual recollections may detract from its precision, but such reflections bring to life the program's three decades of commitment, collaboration, and adaptation in an effort to contribute to a world where all have access to nutritious food that is sustainably produced by local people. While not an evaluative document, key moments of influence and impacts are noted along the way. Copyright 2015 McKnight Foundation, The Philanthropic Initiative.